Keyna Cory is President of Public Affairs Consultants, Inc. With over 20 years of legislative experience, she has worked with a variety of clients to help them achieve their legislative goals. She has considerable expertise in solid waste, environmental, transportation, telecommunications, agriculture, water and general business issues. Passed legislation protecting solid waste companies from unfair competition from local governments, known as the “Fair Competition Act” and is considered the best legislation of its kind in the nation. In 2005, Keyna was named Chief Lobbyist of Associated Industries of Florida (AIF) and served in that position and Senior Lobbyist until 2012. AIF is one of the largest business associations in the state. It was her duty to coordinate a team of 17 lobbyists for AIF and lead them in hard fought issues including tort reform, taxation, and state regulatory issues. Keyna is a member of the Florida Society of Association Executives. She was the Associate Member of the Year in 2001 and is currently the Past Chair of the Florida Society of Association Executives Foundation. Her experience in governmental affairs representation for associations is extremely unique as she’s one of Florida’s only consultants who design and implements legislative programs for many associations, both small and large. In 2003, Keyna was named to the Environmental Industries Association’s Women Council Board of Directors. She is a founding member of the organization and also served as Communications/Public Relations Chair. In 2004, Keyna was elected by her peers to the Florida Association of Professional Lobbyist (FAPL) Board of Directors after successfully chairing the first FAPL Annual Meeting and Conference. She is one of 15 members elected to the Board from an organization with over 300 members. In 2005, she received the first “Service Award” from the Association at its Annual Conference. Keyna’s large interest in football gave her the distinct opportunity to become more involved with the formation of the Sunshine Football Classic by serving on the Founding Committee and Team Selection Committee. (The Classic became known as the Blockbuster Bowl, then the Carquest Bowl, and finally the Micronpc.com Bowl). She was also the first woman to serve as Chairman of a college football bowl game, the Carquest Bowl in 1995. 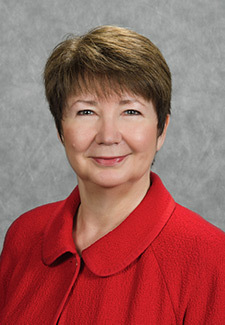 Keyna has represented the five bowl games in Florida (Discover Orange Bowl, Taxslayer.com Gator Bowl, Capital One Bowl, Outback Bowl, Beef ‘O’ Brady’s Bowl, and Russell Athletics Bowl) and her knowledge of the system and creative strategizing enabled her to obtain public funding for their games. Locally Keyna remained active by serving as the President of the Tallahassee Quarterback Club in 2003. She is a member of Kappa Alpha Theta Fraternity and has served as President of Tallahassee Alumnae Club. Keyna served a three year term as Membership District Director for their National Organization. She attended the University of Florida and as a freshman, participated in a graduate program on students lobbying the Legislature. She has always had a deep interest in politics and government and met her husband and business partner, Jack Cory, while working on a legislative campaign.